Mexico City: Hurricane Rosa weakened into a tropical storm Sunday as it headed toward northwest Mexico and parts of the US Southwest, prompting storm warnings for the Baja California coast and flash-flood watches for parts of four US states. 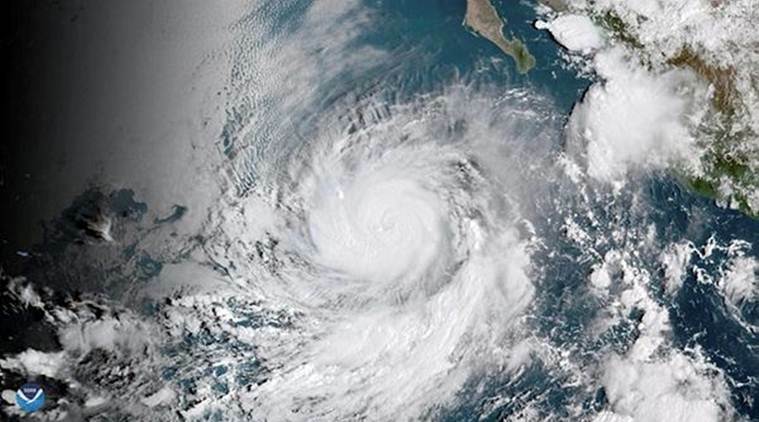 The US National Hurricane Center said Rosa should hit the Baja California Peninsula and Sonora state late Monday as a tropical storm with flooding rains. It’s then expected to move quickly northwestward as it weakens, bringing 2 to 4 inches (5-10 centimeters) of rain to the Mogollon Rim of Arizona and 1 to 2 inches (2.5-5 centimeters) to the rest of the desert Southwest, Central Rockies and Great Basin. Some isolated areas might be more. Rosa had maximum sustained winds of 70 mph (110 kph) Sunday evening and was centered about 235 miles (380 kilometers) southwest of Punta Eugenia in Mexico. It was heading north-northeast at 12 mph (19 kph). Sergio had winds of 65 mph (100 kph) Sunday afternoon and was centered about 535 miles (860 kilometers) south-southwest of Manzanillo, Mexico. The storm was moving west at 13 mph (20 kph).